How Do You Find Motivation to Make a Difference in Life? 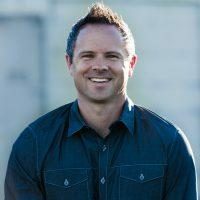 SEAN MCDOWELL: Dad, how do you motivate yourself after so many years in ministry? JOSH MCDOWELL: They key for me is to constantly be aware of what Christ has done in my life. It’s rather easy for me because of my difficult background with an alcoholic father and seven years of sexual abuse. Seeing that God has allowed me to live above that (for the most part) motivates me tremendously. And also, although it may sound childish to some, is the realization that if I were the only person alive, Christ would have died for me. I still get chills when I realize that the most important thing I can do for someone is to introduce him or her to Jesus Christ. Sometimes this means helping people financially or serving them, but ultimately I am motivated to make Christ known to just about everyone I meet. And finally, being married to your (Sean’s) mother motivates me like I never could have dreamed of. She motivates me to purity, to convictions, to know why I believe what I believe, and she really motivates me to go out and make a difference in the world. SEAN: Why do you think so many people, in particular Christians, get burned out? JOSH: If you are not daily trusting in Christ, moment-by-moment, I could easily see how you could get burned out. Second, many people lose sight of their goal in life. When someone asks my purpose in life, I simply say, “To go to heaven, take as many people with me as I can, and enjoy every moment of it along the way.” If I lost sight of that goal then I can get overwhelmed. The other key is to know your limitations. As Socrates said, “Know thyself.” Know your strengths and weaknesses. And also expect yourself to make mistakes. I expect myself to make mistakes, although not the same mistake twice. I make some major mistakes and a lot of minor mistakes, but I usually don’t make them two or three times. Finally, and probably most important, is having right relationships. If I am in the right relationship with my wife Dottie, then you can throw the kingdom of hell at me and I can endure it, but if I am hurting with Dottie then it affects everything in my life, my ministry, my motivation—everything. SEAN: What do you think is a biblical view of motivation? JOSH: I would say to know God, and to make Him known. That pretty well ties it up from Genesis to Revelation. It’s not changing the government or changing the culture, or changing the world. It’s to know Him and to make Him known. SEAN: Any last words of advice on motivation? JOSH: Find what you really get excited about. In other words, what gives your life meaning and significance? Then if you are truly a follower of Christ, you can glorify God through doing those things. God intended us to enjoy life. If you love what you do, then you never have to “go to work.” I love what I do so much that I’ve never worked a day in my life.